Calling all grade 4 and 5 educators in Ohio! Introducing Storia School Edition, the eBooks solution designed to help your students build the reading skills they need for a successful future—FREE to 4th and 5th Grade students and educators through INFOhio. Storia is a valuable literacy tool which can be used in teaching and for developing student independent online reading skills. Storia will help students read, comprehend, and analyze digital text, creating learners who are digital and media literate. In this webinar, you will get a complete walk-through of the Storia eBook reading program, including FAQs for how to set up an account and get students started. Plus, as we navigate through the resource, you will learn first-hand how to apply digital reading best practices to your classroom with teacher-driven tips on instruction to personalize learning for your students. 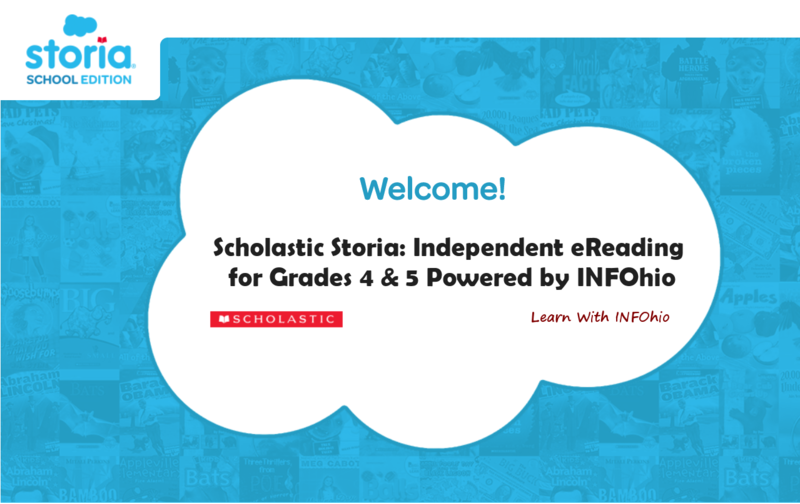 Use this url to bookmark or link to Scholastic Storia: Independent eReading for Grades 4 & 5 Powered by INFOhio: https://www.infohio.org//pd/webinars/recordings/item/lwi20181025. Maren Misevich is an Associate Director of Marketing for Scholastic, Inc. She has over 10 years’ experience in the educational print and digital marketplace. At Scholastic, Inc., Maren oversees numerous digital products under the Scholastic Digital Solutions division. She has her M.B.A. from the Dolan School of Business, Fairfield University, CT.
Sara Vartanian is an Educational Consultant and elementary teacher with over 10 years in the classroom. She has experience as a librarian, reading coach, laboratory school teacher, as well as a classroom teacher for grades 1-6. Sara has her B.A in Early Childhood Education, and her B.Ed in Elementary Education. As an Educational Consultant, Sara shares effective teaching strategies for balanced literacy classrooms.